Swim 57 stories above ground or in an 80-foot-long glass cube. Some pools invite you for more than just a dip. 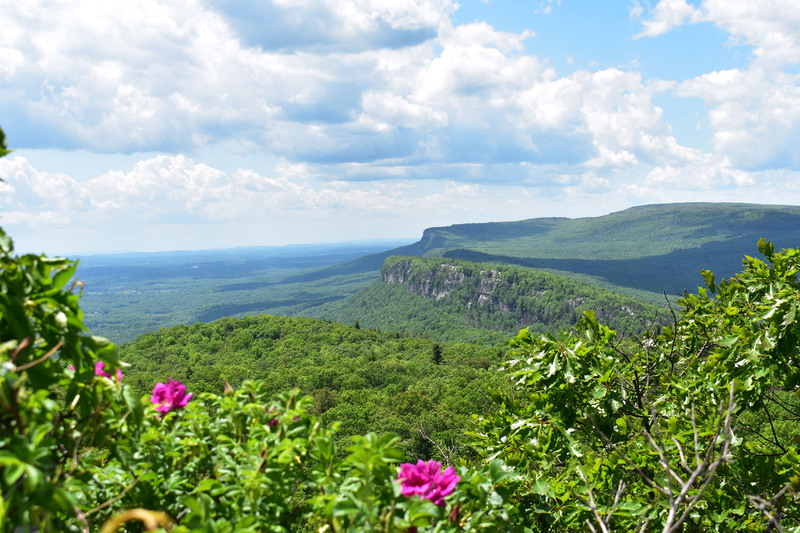 They stun you with their incredible construction, whether they’re built right into nature, tricked out with waterfalls, or stand high above a major metropolis. 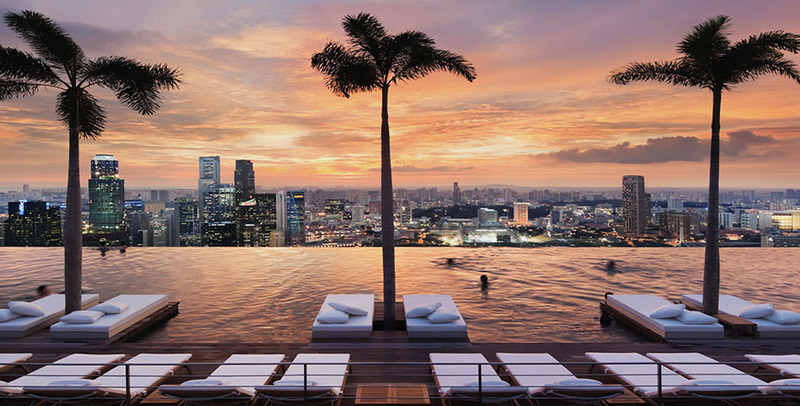 We’re counting down the six most mesmerizing pools in the world. 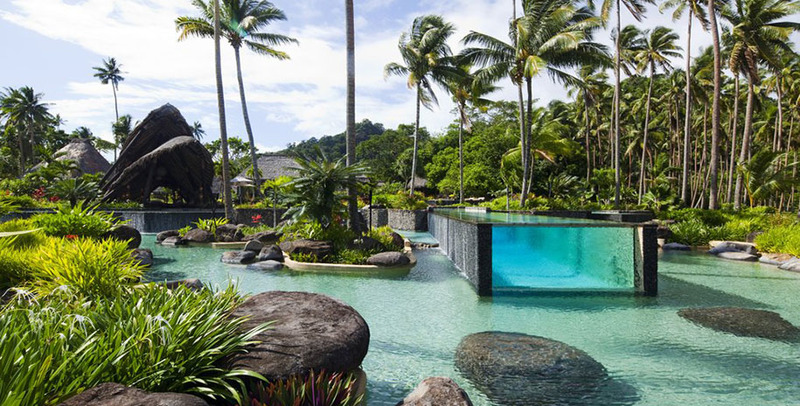 You’ll want to put on your suit and dive right in. 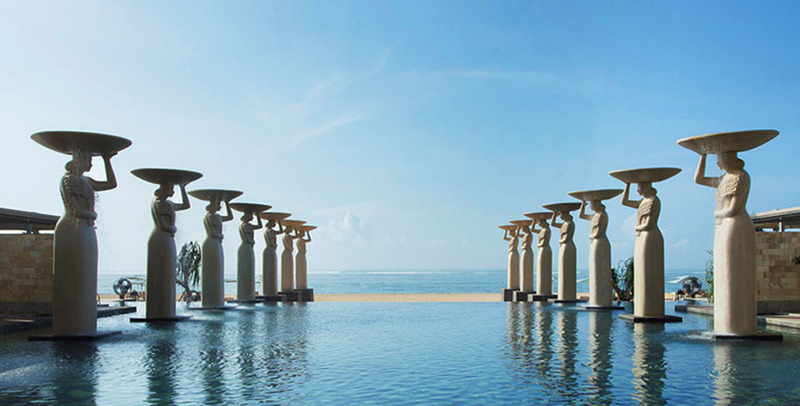 This vast pool is flanked by 16 giant statues of traditional Balinese women carrying wheat on their heads, a symbol of prosperity. The infinity pool blends into turquoise Indian Ocean mere feet away. Go for a sunrise swim to enjoy the breathtaking blend of pink sky with blue water. Submerge yourself in the stunning backdrop of the Swiss Alps. 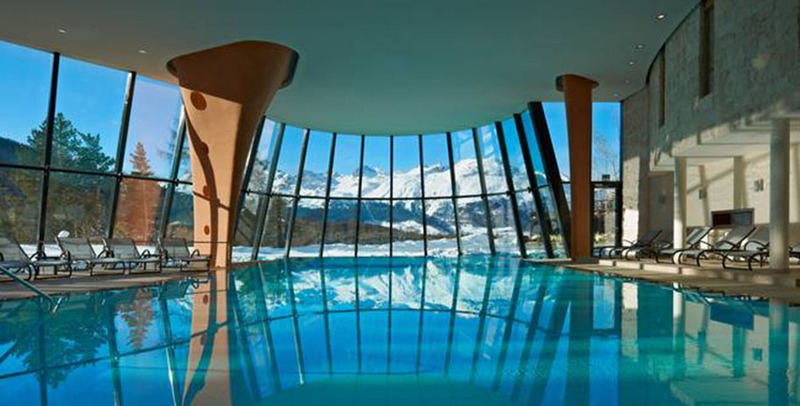 This 21,000-square-foot indoor pool provides floor-to-ceiling views of snow-capped mountains. Do laps to the sounds of the underwater music, or unwind in the accompanying spa’s salt-water grotto and steam bath. Although each villa on this private island is equipped with its own infinity pool, the resort’s main lagoon is its star attraction. Set against lush Fijian greenery, this architectural marvel overlooks a white-sand beach and the Pacific Ocean. In the center, an 80-foot-long glass cube is ideal for swimming laps. 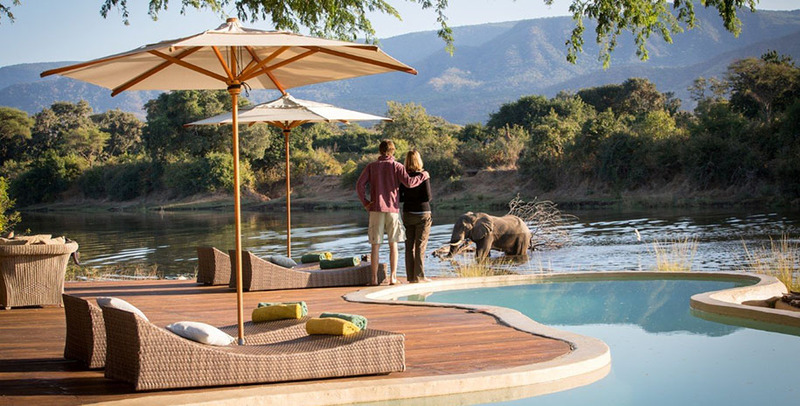 Wildlife lovers, this one is for you: This lodge’s pool looks out to the mountains of Lower Zambezi National Park. When you take a dip, there’s a good chance that you’ll see elephants cooling off in the Chonghwe River. 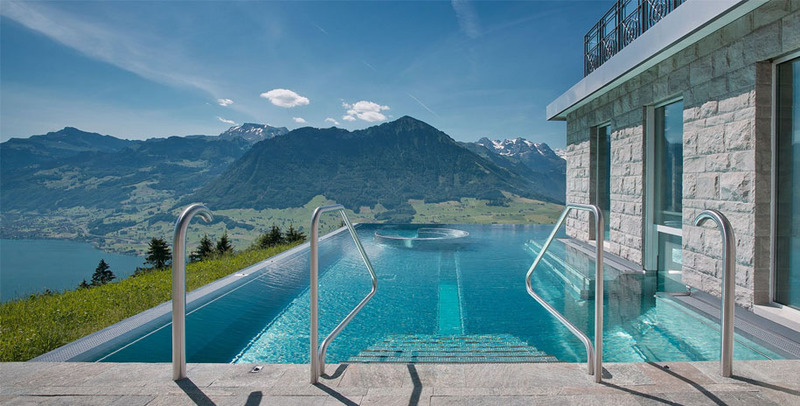 The 93-degree infinity pool blends into the crystalline water of Lake Lucerne. 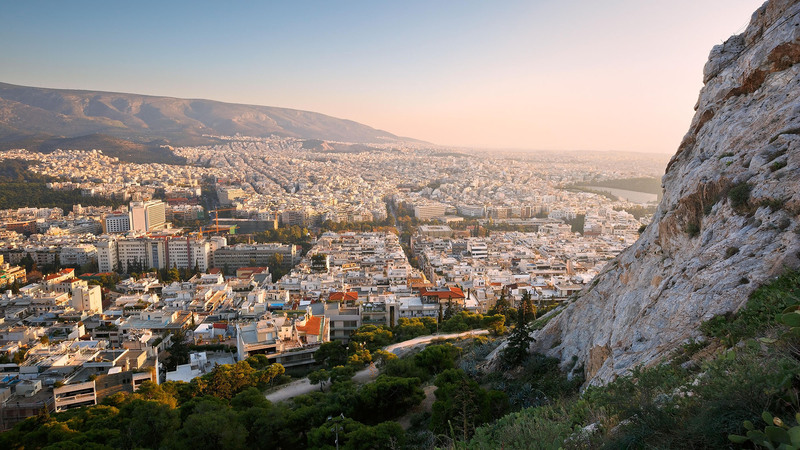 Whether you want to go for a midnight dip amongst the stars or wake up to the sun rising over the mountains, the view is stunning any time of day. At this towering hotel, you can freestyle 57 stories above ground while the cityscape dazzles behind you. 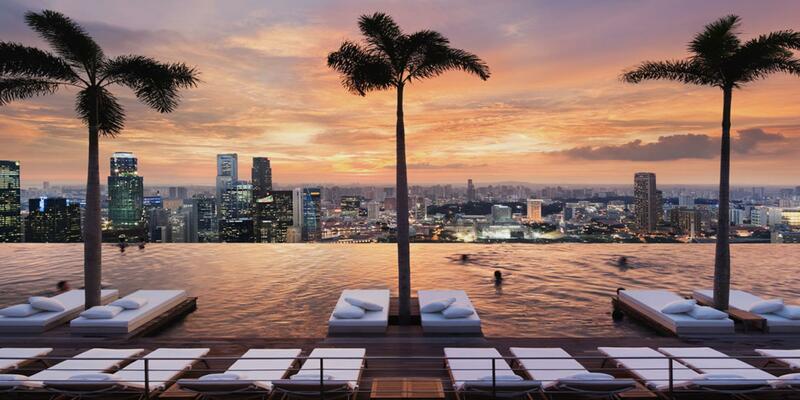 At more than 15,000 square feet, it’s the world’s largest rooftop infinity pool. Time your swim for dusk, and you’ll witness an unparalleled sunset among the clouds.